Fortnite Battle Royale is finally getting its damn jetpacks. 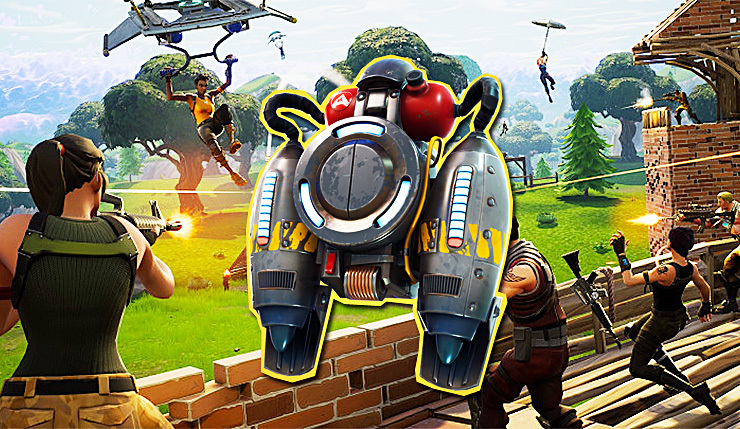 Originally scheduled for a February release, the Jetpack was delayed for months due to unspecified “issues,” becoming something of an obsession for Fortnite fans. Hopefully the wait was worth it! 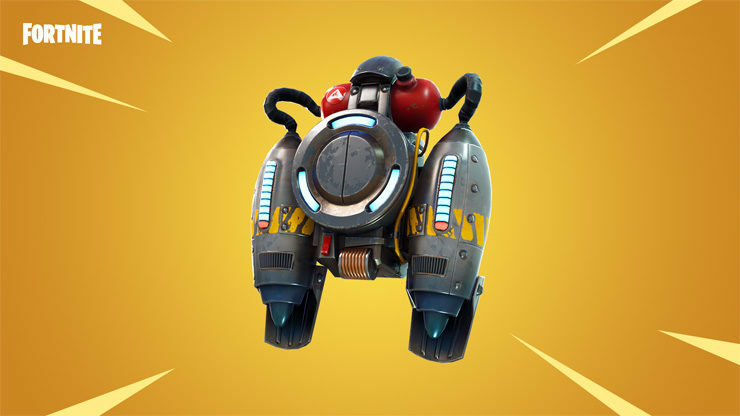 Epic has created the new Backpack inventory slot for the Jetpack, which is a single-use item – once its fuel has been fully consumed, it will explode, and you’ll have to search treasure chests for another. Activiating the Jetpack is a simple matter of double jumping, and Targeting Mode will not be available while in the air. The Jetpack is the first of a new item type: Backpacks. Backpacks take an inventory slot (like weapons & consumables) and can be moved to different positions. Only one Backpack can be carried at a time. If you pick up a different Backpack, it will be automatically swapped with the one currently equipped. When a Backpack is fully consumed, it will be automatically destroyed. While a Backpack is equipped, your Back Bling cosmetics will be hidden. Back Bling will be reapplied when the Backpack is no longer equipped. You cannot enter Targeting Mode while in the air. All weapon drops are legendary! Floor Drops: High chance of Hand Cannon & Suppressed Pistols. Low chance of Assault Rifle & Sniper Rifle. Chests: High chance of Assault Rifle, Minigun & Sniper Rifle. Low chance of Heavy Shotgun & Rocket/Grenade Launchers. No Pistols. Supply Drops: High chance of Rocket/Grenade Launchers, Medium chance of Sniper Rifles. Low chance of Heavy Shotgun & Assault Rifles. No Pistols. 50% extra stone and metal resources gained from farming. Stone Floor Drops increased to 60 per pickup. Metal Floor Drops increased to 90 per pickup. Increased drop rates of: Chug Jugs, Slurp Juice, Shields, all Special Grenades, Launch Pads and Campfires. Decreased drop rates of: Grenades, Spike Traps and Bandages. Close quarters combat with Shotguns & Jetpacks! The only guns in this mode are the various types of Shotguns. Jetpacks & Heavy Shotguns can be found in Chests & Supply Drops. Other Shotgun types are spawned as Floor Loot. The storm moves in more quickly than normal mid to late game. Typical match length is about 15 minutes. Stats are enabled for this mode. Doubled the Weekly Limit for Flux in the Weekly Store (available May 23). Archaeolo Jess, new Outlander Hero, has been added to the Event Store (available May 23). Epic also recently released the Fortnite 4.2 patch (which is, confusingly, separate from the content update) that added new weapons, a “Perk Recombobulator” for Save the World, and more. Check out the full patch notes, right here. Fortnite is currently available on PC, Mac, Xbox One, and PS4. Fortnite Battle Royale is also available on mobile platforms.